In the Atlantic City Headquarters for Intelligence Logistics Electronic Surveillance (ACHILES), retired patrol officers watch computer screens that can access more than 1,400 cameras throughout the city's streets. The network, known as Protecting Atlantic City Together (PACT), includes cameras belonging to private businesses and homeowners who voluntarily join the program. In 18 months of operation, ACHILES and its staff have already provided valuable information that helped with a number of investigations. A Chicago Police officer making a traffic stop near 87th Street and Ashland Avenue was saved by his ballistic-resistant vest when a suspect got out of the car and attempted to flee. As the officer pursued the suspect, he pulled a gun and shot the officer in the chest. Police said the officer was hospitalized after the incident and listed in stable condition. The New York Police Department recently began deploying dogs that have received a new type of training: how to detect the scent of a bomb from hundreds of feet away and lead handlers to the explosives. Explosive-odor pursuit dogs use their training to intercept would-be perpetrators and stop events before they happen. The dogs will be in use at the Macy's Thanksgiving Day Parade. Custom Robotic Wildlife workshop in Kronenwetter, Wis., uses taxidermy and robotics to create moving animals for movies, commercials, businesses  and wildlife law enforcement agencies. The workshop creates deer, turkeys, moose and elk that help to distract and deter poachers. Police in New Miami, Ohio, are testing a new speed enforcement vehicle that could replace the handheld speed cameras officers presently use. Up to 50 percent of violations captured by the handheld cameras must be rejected because of difficulties with identifying the speeding vehicles. Use of the enforcement vehicle is in a pilot phase and no citations have been issued to date. Penn State geographers, Penn State University Police and Public Safety, and State College police have collaborated to develop a new coordinate grid system that identifies any 12.5-yard square location in the parking lots and pastures that surround Beaver Stadium. First responders from numerous local public safety agencies can use flip booklets that identify areas by alphanumeric code to respond to any emergency near the stadium on football game days. The Pinecrest (Fla.) Police Department and Florida International University recently received the 2018 International Association of Chiefs of Police/Security Industry Association Michael Shanahan Leadership in Public/Private Cooperation Award for development of a no-cost, web-based virtual roll call briefing. The digital solution brings information about daily crime reports, watch orders, be on the lookout (BOLO) alerts and more to officers, rather than having them attend a 15-minute briefing at the beginning of a shift. The Illinois State University Police Department and the Prairie Pride Coalition recently teamed up to host a free community awareness training for law enforcement, first responders, government officials, community leaders and faith leaders who wanted to learn more about the varied communities they serve. Led by the U.S. Department of Justice Community Relations Service, the event also involved members of the transgender, Muslim and Sikh communities. Although a recent Legislative Finance Committee report for the state of New Mexico did present some conclusions and recommendations, the review team stated that difficulty in obtaining data prevented it from presenting a complete picture. The New Mexico Corrections Department is in the process of implementing a new system to track program participation and outcomes, but until the new system comes online, a lack of information prevents the DOC from directing resources toward effective programs, the review team says. In June 2018, the U.S. Department of Justice released a report on the successful test of cellular signal jamming technology in a Maryland prison. This article looks at the pros and cons of allowing correctional agencies to implement use of that technology. In North Carolina, the Randolph County Jail has become the first division of the Randolph County Sheriff's Office to begin regular use of body-worn cameras. All 10 detention officers on duty during each shift will wear the devices, with footage downloaded at the end of each shift. Bail Reviews Go Virtual in Bristol County, Mass. This article looks at how Bristol County, Mass., is using video technology for bail reviews. Using the video system allows the state to save on the cost of transporting an individual to a courtroom in a more distant location, thus saving resources and potentially increasing public safety. The Marquette County Jail has become the first in Michigan to begin use of a full-body scanner to cut down on contraband smuggling. Sheriff Greg Zyburt says if something suspicious shows up on a scan, officers can then obtain a warrant and take the individual to a hospital for a cavity search. A 2009 NIJ Forensic DNA Unit EIP solicitation provided crime laboratories' DNA testing services with a funding opportunity to meet increasingly numerous requests from the criminal justice community. The 2009 EIP encouraged crime laboratories to implement novel ideas and processes that would provide a measurable, significant and sustainable way to meet the needs of national DNA programs. This November 2018 Technical Note focuses on the final outcomes of an award received by the Palm Beach County Sheriff's Office. NIJ support of an approved and implemented plan involving interagency cooperation between three jurisdictional law enforcement agencies within Palm Beach County resulted in the successful and efficient establishment of a centralized biological pre-screening laboratory for DNA evidence prior to submission to the county's forensic laboratory for DNA testing. 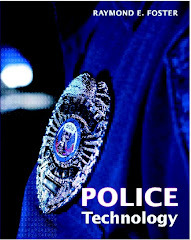 Read the Technical Note on this program, produced by the NIJ Forensic Technology Center of Excellence, at https://forensiccoe.org/eip-forensic-dna-report-2018/. Go to https://forensiccoe.org/webinar/workforce-resiliency-psychological-survival-violent-career/ to register for "Psychological Survival in a Violent Career,” a new webinar in the FTCoE Workplace Resiliency Series. Law enforcement officers, firefighters, paramedics, EMTs, crime scene investigators and others are frequently exposed to human tragedy on a regular basis, yet few have purposely developed a coping strategy for dealing with this repeated exposure. This webinar presents real-life examples of trauma and its negative consequences, as well as positive coping steps a person may use. The December 13 event runs from 1 to 2 p.m. Eastern Time.